She may be fond of shopping, but Iris is certainly no clothes horse. The film is rife with sharp-witted, shrewd nuggets of wisdom – ones that would garner RTs galore. 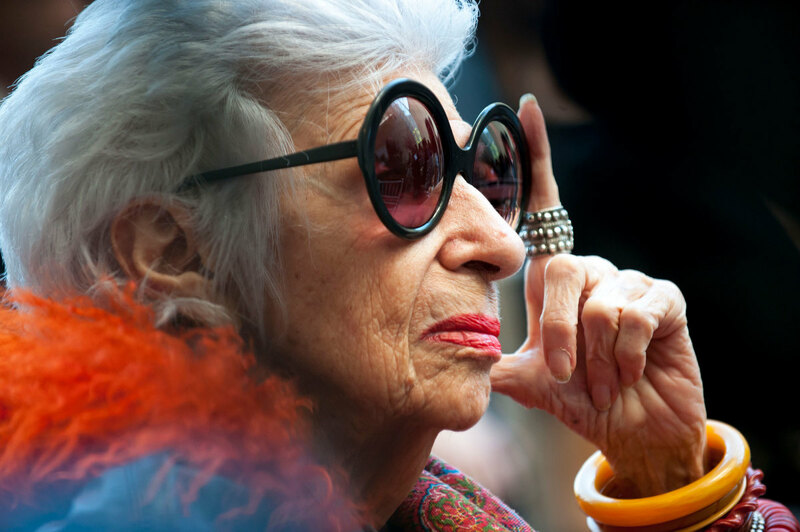 Iris, who comes with her very own soundtrack of rattling bangles and swooshing layers of fabric, has the rare gift of wisdom and experience in the world of fashion and is still, at the age of 93, imparting more honest, hard-earned knowledge than most people in the industry. What Maysles wanted to capture was her raw spirit and natural eye for this stuff, and he totally has. This noteworthy doc can teach you more about design, fashion and true passion than most college courses ever could. Find out about her six nuggets of wisdom.